Carputers! 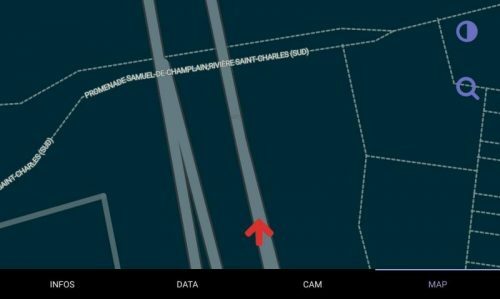 Fabrice Aneche is documenting his ongoing build, which equips an older (2011) car with some of the features a 2018 model might have: thus far, a reversing camera (bought off the shelf, with a modified GUI to show the date and the camera’s output built with Qt and Golang), GPS and offline route guidance. We’re not sure how the car got through that little door there. It was back in 2013, when the Raspberry Pi had been on the market for about a year, that we started to see carputer projects emerge. They tended to be focussed in two directions: in-car entertainment, and on-board diagnostics (OBD). We ended up hiring the wonderful Martin O’Hanlon, who wrote up the first OBD project we came across, just this year. Being featured on this blog can change your life, I tell you. In the last five years, the Pi’s evolved: you’re now working with a lot more processing power, there’s onboard WiFi, and far more peripherals which can be useful in a…vehicular context are available. Consequently, the flavour of the car projects we’re seeing has changed somewhat, with navigation systems and cameras much more visible. Fabrice’s is one of the best examples we’ve found. 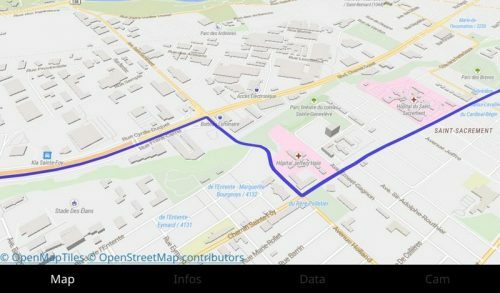 …the Linux gps daemons are using obscure and over complicated protocols so I’ve decided to write my own gps daemon in Go using a gRPC stream interface. You can find it here. I’m also not satisfied with the map matching of OSRM for real time display, I may rewrite one using mbmatch. We’ll be keeping an eye on this project; given how much clever has gone into it already, we’re pretty sure that Fabrice will be adding new features. Thanks Fabrice! where to buy this screen? you can buy it on ebay or amazon. The problem with the raspberry pi in this case is the amount of effort to handle the startup and shutdown cleaning when the ignition goes on and off. It would be nice if future versions had a hardware button implemented like a regular pc does via the atx connections. Ryan, Mausberry has a startup/shutdown hardware solution. Be prepared for a long wait before receiving the module though. Was a month before I received the switch. I’m sorry, but music server and navigation does not a car computer make. My cell phone does that. 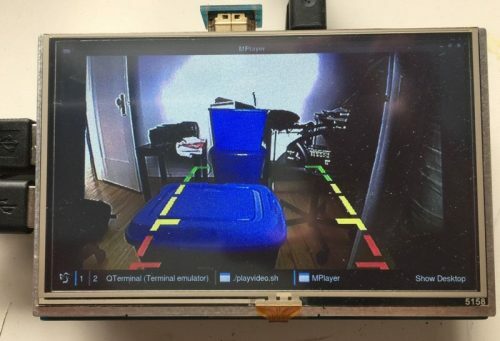 I am hoping somebody will start developing real functionality, such as camera selection and monitoring for multiple backup cameras, tire pressure monitoring, vehicle systems monitoring, etc. I would love to see somebody like Fabrice start looking that direction rather than reinventing the wheel. I couldn’t agree more – let’s add some sensors and monitor the engine – use ai to predict failures! Your phone already does music and navigation. One use case I’d like to work on is related to car theft or break-in, with notifications to my smartphone or home automation system! Coolest Projects: it’s for the whole family!